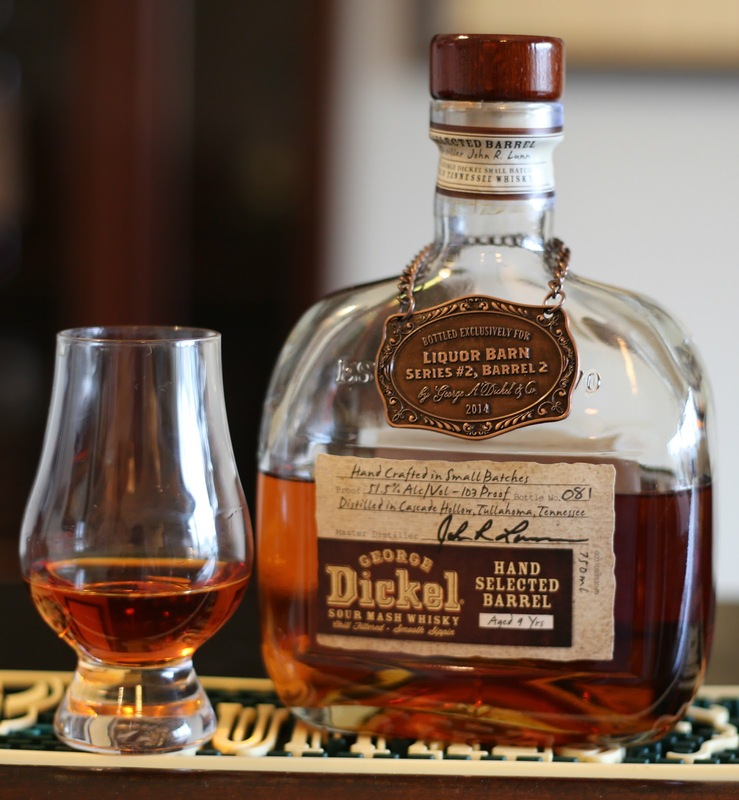 George Dickel is produced at Cascade Hollow Distillery in Tullahoma, Tennessee. Like most TN whiskey, Dickel is produced using the Lincoln County Process, which involves undergoing charcoal and chill filtration. 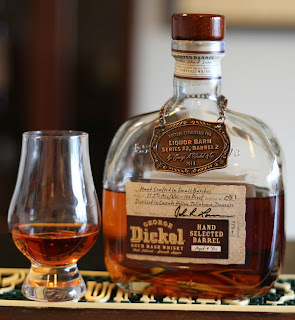 In 2013, Dickel started a Barrel Select Program which gave commercial retailers the opportunity to hand select and purchases single barrels of their sour mash whisky. I love when distilleries do this, as the bottles are vetted for taste and sold to consumers at wholesale pricing. I recently spoke with a representative from the distillery, and was told the program is no longer offered, citing "limited supply". Nose: Creamed corn is dominant. Submissive scents of caramel popcorn, apples, and maple introduce a welcomed depth to the overall bouquet. Enclosed is a slight hint of burnt oak. Taste: Sweet with a smooth entry. Corn continues to have the most impact on the flavor profile although, there is an edgy fruit tone. Artificial sweetner, butter, and toasted oak are all tertiary notes which don't have much impact on the overall taste. Finish: Sweet from beginning to end, although the oak is more prevalent on the finish. Conclusion: This is a smooth, corn forward sour mash whisky that (like most Dickel products) lacks depth. I was raised in Tennessee however tend to shy away from most TN whiskey; I believe the Lincoln County Process leaves whiskey tasting like artificial sweetner and syrup. At 103 proof, it is the nicest Dickel product I've had, so if your a fan of their product line, this is something you may really enjoy.